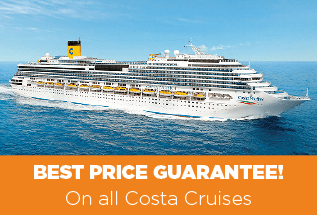 Costa Cruises are best known for their Mediterranean voyages, which operate year-round, though they also sail to destinations worldwide including the Caribbean, the Emirates, the Indian Ocean and Asia. With Costa Cruises, the emphasis is on fun, with plenty to keep adults and children entertained. There are offerings of dance classes, Italian cooking lessons and lively theatre shows, plus you’ll find a casino, a 4D cinema and several wine bars. If singing is your thing, you could also try out for “The Voice at Sea”. Costa Cruises does an excellent job at catering for families. There is a range of kids’ clubs for children aged from 3 to 17, plus you might even meet Peppa Pig onboard. 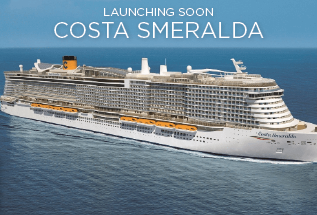 In November 2019, Costa Cruises will launch their biggest ship to date, Costa Smeralda. Features will include the 3-tier Colosseo, lined with lounges and bars, 11 eateries, and a design museum. She will also be the first ship at sea to use liquefied natural petrol – the cleanest fossil fuel in the world. 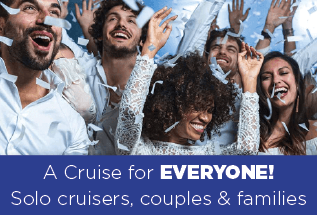 A cruise with family and loved ones, guaranteed fun and relaxation. On a Costa Cruise everyone in the family will have a great time as both parents and children will find what they are looking for in their ideal vacation on board. For one, there are cabins to suit every need, including large and interconnecting cabins. .
Recharge your batteries in the spas on board Costa Diadema, Costa Fascinosa, Costa Favolosa, Costa Deliziosa, Costa Luminosa, Costa Pacifica and Costa neoRomantica. 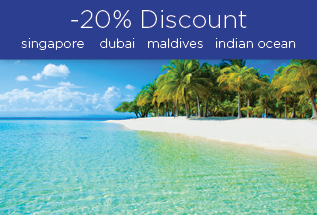 On a Costa Cruise you'll find numerous ways to balance body and mind. A romantic dream come true On your honeymoon cruise, Costa ships will spoil you and your other half for choice every day. Every morning when you wake up, you can have a romantic breakfast served in the privacy of your own cabin. As a solo cruiser you're bound to meet lots of new people. A holiday on board a Costa ship gives you infinite opportunities to make new friends whilst being active. You can do outdoor sports, make laps around the jogging track, get fit in the gym, hang out by the pool or enjoy a treatment in the wellness centre. Action Packed Days very day there is something to do for everyone! Whether you are a sports enthusiast, lover of relaxation, adventure seeker, yound or old - there are so many activities to choose from and spend your holiday days to the fullest. Fun all night long When the sun sets on the horizon, a Costa evening comes to life - an evening to be enjoyed at your own pace. After pre-dinner drinks on deck, a quick pizza with friends or even better a gala dinner created by the 7-Michelin starred Italian chef, Bruno Barbieri...after dinner the choice is yours!